Meghan Asha is living her dream. She is an exuberant woman, obsessed with food, wellness and beauty products, and she has built a platform to bring these brands to market and help them grow. But her business plan wasn’t always so clear. Today, working in her sprawling SoHo loft office, Meghan gauges her happiness and her success from the vantage point of her 90-year-old self. And it was insight from her 90-year-old self that gave her the perspective to make her very first step towards what would become FounderMade. In my conversation with Meghan below, it is so apparent to me that she lives every day in a state of wonder and excitement for what she is building and how far she’s come. Every entrepreneur should be so lucky to operate from this state. And with her advice, you probably can be. Below, please enjoy this refreshing conversation with Meghan Asha about how embracing uncertainty and taking small steps have led her to create the business of her dreams. Meghan Asha is the CEO of FounderMade, a platform and conference series that connects best-in-class consumer brands to retailers, distributors and investors. Under her leadership, FounderMade has partnered with innovative brands including Estee Lauder, RXBar, BulletProof Coffee, Vital Proteins, Target and Starbucks. Inspired by her entrepreneur father, Meghan has always had a passion for building and empowering companies. Over her career, she’s experienced entrepreneurship from every angle: She’s worked as an analyst for a venture capital firm, interviewed leaders of technology companies for a weekly internet talk show, and built her own digital media platform. With the firm belief that entrepreneurs need support and connection, she began bringing together business contacts from those earlier jobs as part of an intimate dinner series — which eventually evolved into FounderMade. When she's not helping consumer brands thrive, you can often catch Meghan on national TV shows like CNN, The Today Show, Fox Business News and QVC. She has also been profiled and quoted as an expert and entrepreneur in business publications like the New York Times, Forbes and Entrepreneur Magazine. Meghan currently serves as an advisor and investor in several consumer product and technology startups and is a partner at FounderMade Fund. She received her BS from the University of Southern California and an MBA from Columbia Business School. Explain a little bit about what FounderMade is about and what you guys do here. So our whole mission at FounderMade is to discover the best consumer companies in food, wellness and beauty, and help them build. The way that we do that is through a conference series, executive summits, and then we also have a trade show that basically discovers best in class brands and connects them to retailers, media, distributors, anything that will help them drive commerce and build their business. Who are some of the big names that you have brought to FounderMade? Dave Asprey from Bulletproof Coffee, Daniel [Lubetsky] from Kind Bar. We had the founder of TRX, Randy Hetrick. We also had Todd Harper, Bobbi Brown; we had Alli Webb from Drybar, Sarah Michelle Geller and their team at Foodstirs. So basically any of the cool consumer companies, and also the big innovators in the space. We love featuring them because it really just inspires everyone. And what inspired you to start Foundermade? I know you were at a hedge fund at one point. How did you get here? So I’m from Silicon Valley originally, and my dad is part of my story and my journey… He came from India with a backpack and nothing else. And when I was a kid, he had bought a patent from Hewlett-Packard and [from then on] it was “daddy's company is going public”. So we literally went from an apartment to a house, and then his company did [go public]. I watched that entrepreneurial journey, literally going from nothing to something. And so I always say, success isn't linear, just be a good person. And so, that kind of inspired me. I started off [my career] trying to be the proper firstborn daughter. So I actually started in hedge funds, thinking that was my mission and quickly realized that I really wanted to do something a little bit more in the center with what my family and my dad's legacy and everything. So basically, I started digital media platform. Then I went to business school and was asked to lead a couple of startups, but really didn't know what I know what I wanted to do next. I really started FounderMade as a dinner series. While I was juggling two jobs, I asked myself, “when you're 90, what will make you happy?” And it started off as dinners. I did it in the gym complex in my building, and it was like a small dinner, and oh my gosh, it was just my friends. And I was like, I just really love this. It was my friends in tech and trends and consumer and all these founders. I didn't really know what it was, but one of my best girlfriends, she said, “follow the bread crumbs”. Like, you may not know what this will turn out to be, but if this is what you love, just to do it. So I just thought this was kind of like a side business and then it just evolved into something more. A lot more! Now I get to live my dream business life, and I get to help people build their businesses, and I get to work with an awesome team. [she says as if still in awe of what she has accomplished.] But it wasn't clean or easy. It wasn't an easy journey figuring out what I wanted. I was always stressing about what I wanted, or what I should be doing, or how I should be doing it, and why I’m not there yet. It’s hard because everyone's just say to relax and you should just enjoy the journey. But I think those little steps – nothing is little – take those little steps, because you never know where those are going to end up. Have you ever had any downfalls or failures that in retrospect you see was such an amazing growth opportunity? It's so funny because there are so many different points in my journey that I look back on. I'm like, oh, that's why I had to have that lesson. That's why. So it’s a combination of things. One was having a partnership that didn't work out. So I started a company and it ended up being a hard partnership to have and it felt almost like a divorce when we [parted ways]. And I remember I questioned myself, I question my intelligence. I had to go to business school just to prove that I was OK. And then I realized that those types of things and those types of situations will keep mirroring themselves over and over again until you get the lesson out of it, until you face it in the way that you're supposed to face it. So what do you think your lesson was? It's interesting. [I think the lesson was to] overly communicate. I think that communication is a big, big reason why certain teams don't work out or certain things aren't executed on. I think that being able to overly communicate, having transparency, trust, integrity with your team is everything. And I think that it was just an early journey of, hey, you're my friend, let's be partners and let's start a business; and that sometimes isn't the right thing. 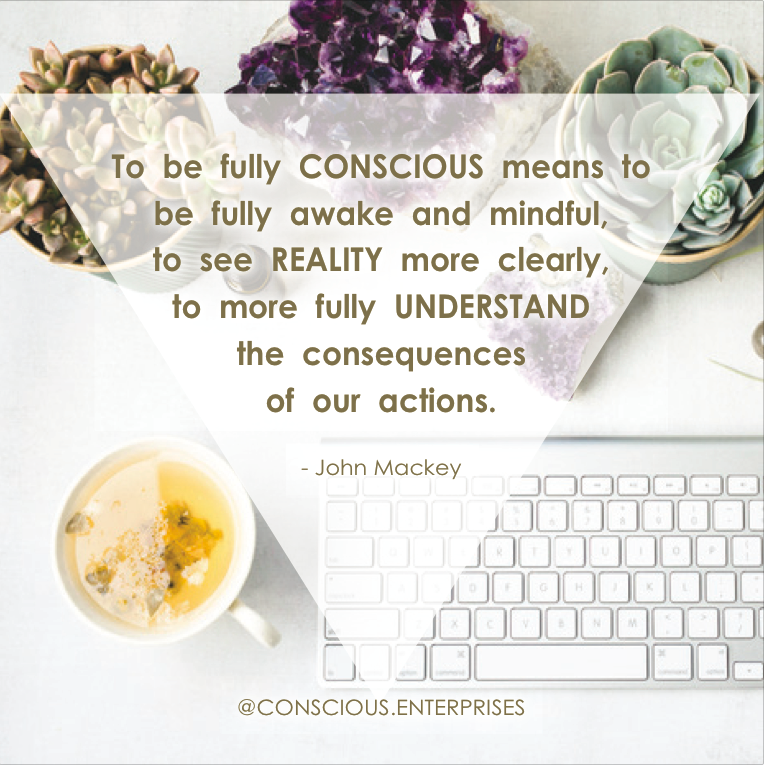 What would you say makes your business a conscious business? 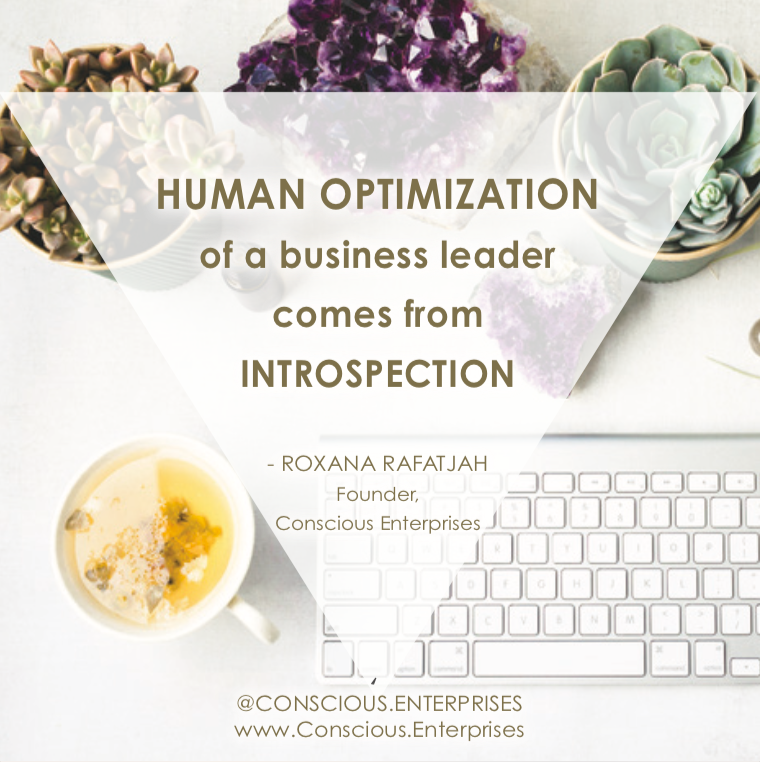 What kind of higher purpose are you providing besides just profits and bottom line? Well, to us, it’s such a big thing – especially because this is a start-up helping start-ups –our big mission is [to help entrepreneurs]. For entrepreneurs, the journey is just – it’s not for everyone. And to be able to help someone, who is just beginning, to get their idea out into the marketplace, and then help them scale, and then help them potentially if they want to get acquired, or get them funding, or get them distribution, those are the success stories [that validate our purpose]. I was just at a conference and I run into one of our exhibitors and she says, “hey, from your conference [Consumer Discovery Show], I got into Anthropologie and Urban Outfitters!” And I video [her] I send it to the team. Do you have a regular ritual or some sort of routine or practice that keeps you going, keeps you in alignment, helps you de-stress? Yes. For probably for the last 10 years, I've been doing this gym class called 30/60/90. Wow I’ve taken it! That is a killer class! Yeah it’s high intensity interval training. So basically, you have steps, your weights, and I jump higher now than I did when I was a cheerleader. And for me, because I do it every morning, it's become extremely meditative. And I also, when I'm jumping, I think about my 90-year-old self, and I think if she sees me going through all these times where you have to find patience and perseverance through things. And so, that's how I, even through the gym class, I [realize] I need patience in this part of this class. Or some days are hard or some days you don't feel like doing it, but you just do it. And that I think is the lesson in it. Yeah, it gets you started on those endorphins and you're taking care of yourself first and then you're building your business and you can help building others. You obviously work with so many wellness brands. 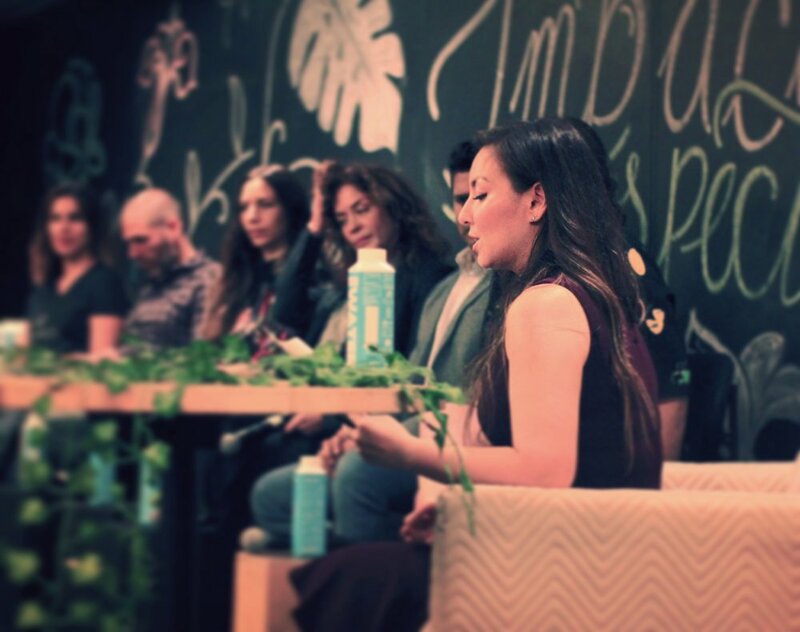 How do you integrate your commitment to wellness into your everyday business, your employees, your clients, and everybody you’re interacting with? I always say this is the climb, just like when you're climbing a hill, you need to take breaks, you need to look at something… Some days you're climbing a hill and you're like, this is a hard track. [she crosses her arms grumpily] I just want to sit here and sit down on the mountain and not do this! And so I always, in terms of integrating wellness, I’ll always say to our team, if you're not feeling your best, you need to make sure that your energy is good. We are building this altogether. So it's really important that you take care of your health. So part of it is, right now, we're trying plant-based in the office and doing a bunch of fun stuff. But that's also a personal thing. 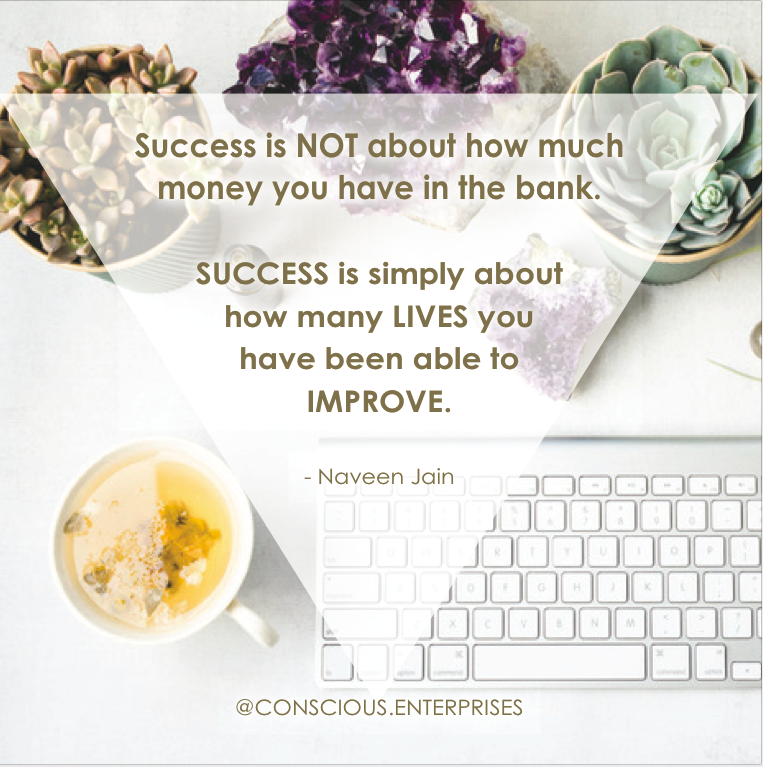 Do you consider your business to be successful today? When will you know when you've reached that, like, accomplishment you're looking for? So, it's interesting. I have a very big vision for this thing. So we're definitely at the first foot of the hill. It’s hard because it's a combination of just looking at where you want to go and then pacing yourself forward. I feel like we are successful right now because we get to do what we love, which is such a gift. We get to work with people that we respect and admire, and we are all sharing the same vision. And it looks like incredible energy and people can see that. So, at this point, I feel like this is beyond my wildest dreams already and we haven't even really hit where I know we're going to go. So inspiring. Is your 90-year-old self smiling? She's smiling everyday! She was smiling when I was juggling two jobs while we did our first conference. I remember thinking, [on the day of our first conference], you couldn't take the meaning of this day away from me. The amount of meaning that I get from this is something that you can't [explain]. No money in the world is going to give you that feeling. Where do you see the state of the world in the wellness industry other industries you’ve been a part of, in the next five years? And how do you see yourself and FounderMade contributing to it? I love that you're asking that. I mean, it's really interesting what's happening in the consumer sector. I always say what's the FounderMade brand—it’s segment-defining, it's innovative, it's mission-driven and transparent. And so these smaller companies are actually taking market share away. They're smaller wellness companies that are taking market share away from the bigger corporate companies. And so we want to be the feeder to that. We want to be the discovery engine where consumers, retailers, everyone is discovering these companies through our network and we kind of have a founder of stamp of approval. I think wellness is a huge, huge movement and it’s just going to continue. Where do you see yourself and FounderMade in like 10 years from now? It’s so funny, I’m supposed to write my 10 year plan this weekend, so I don't know yet! I mean, I think that what we want to do is drive as much value for the best in class consumer companies and innovations. And so, I think there's a combination of things that will happen. Number one, we'll obviously have the conferences as they stand, and continue to scale that. We have tech that we've built for product companies and that will be part of how we're scaling digitally. And also, we’ll have a fund that we’ll invest in helping and building and scale these companies. 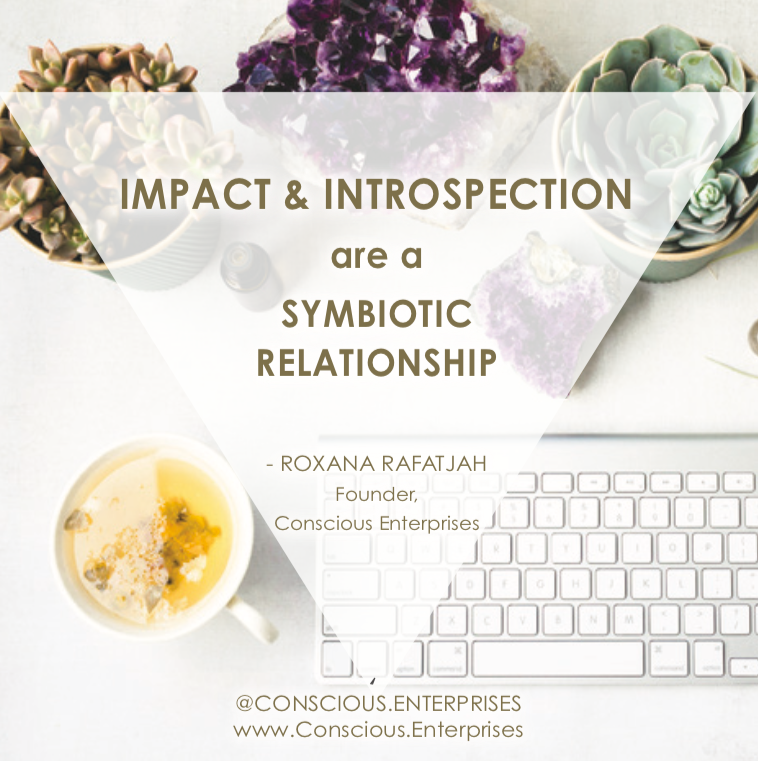 What piece of advice would you give to other entrepreneurs that are starting their businesses now with their conscious intentions? I was really hard on myself when I was younger, and I was really self-conscious. And that was the thing that held me back. So I would say, make sure you have your superpower. Figure out what your superpower is and make sure you hire around it. Make sure that you're doing what you are supposed to do. Don't be so hard on yourself. It’s OK to start small, but don't be ashamed of it. That’s where everything starts—small! Buildings were built [small first]. Everything that's ever been built by humans started with an idea. And that is super, super powerful. So if you have an idea and maybe that's the universe or whatever you believe in that gave you that idea. It's OK to start small.